Whether you are implementing data center infrastructure management software for the first time or taking advantage of an existing DCIM, you have the opportunity to learn from others' experience. 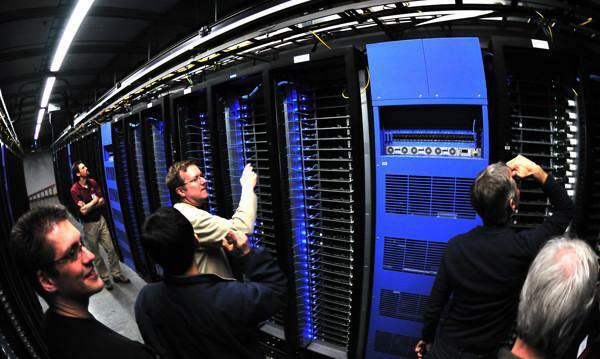 Follow these DCIM best practices and take control of your data center. When every minute of an outage costs thousands of dollars, operating a reliable data center is crucial. While N+1 redundancy buys some time in an emergency, the approach is expensive and falls shorts under multiple failures. Instead of walking the floors and checking for trouble in the racks, technicians can monitor performance through Sunbird Power IQ. This DCIM software delivers an interactive floor map in real time with color-coding for quick problem solving and decision-making. IT staff can take advantage of a single solution to spot power and temperature threshold violations. They view trends and take necessary steps before the situation escalates into a critical issue. Power IQ offers instant statistics on capacity, power, humidity, temperature, airflow and other data points on a per-cabinet basis. IT pros frequently voice frustrations about managing relationships and dependencies, locating assets, finding available resources and making critical changes in a timely way. Sunbird dcTrack DCIM Operations removes many of these complaints by supplying an accurate, real-time view of all facilities and IT components in your data center from virtually anywhere. Monitor location, elevation and all related details through the convenience of an Android or iOS mobile app. Instead of relying on out-of-date spreadsheets and Visio documents, you gain a single, integrated solution that removes silos and streamlines the interactive management of data center operations. Get on-demand views of servers, rack and floor PDUs, patch panels, UPSs, CRAC units, applications and other network, monitoring and infrastructure devices. You can also look at physical connections among the equipment to ensure reliable performance down the chain. With data center technicians earning up to $30 per hour, managers are always on the lookout to save money by saving time. Sunbird's DCIM solutions integrate with devices, sensors, help desks and workflows to remove duplication and manual effort. Since these tools work with most third-party equipment, you can centralize and streamline your operations. Visualize your infrastructure in real time and understand the impact on services and customers. Make data-driven decisions about power usage, physical capacity and environmental controls. Ultimately, you save money without risking negative client experiences. Customers demand a high level of attention, which legacy processes fail to deliver. DCIM streamlines delivery of colocation services, network and hosting services and systems management. Data center infrastructure management tools replace static record keeping and silo processes with a faster, more accurate, centralized solution. You continue to deliver world-class data services while backed by extensive power management and capacity planning tools, auditing solutions and floor performance health maps. With Sunbird's DCIM, you can clone and deploy a full equipment rack in just minutes. You can eliminate duplicate efforts and excess reporting with a built-in work order management system. The software supports more than 30,000 smart models from 450 manufacturers, so provisioning is easy. Deploy your solutions faster with a system designed with your IT needs in mind. Data center infrastructure management software supplies the monitoring, planning and analysis capabilities that smart data center managers need. Drive your organization to greater success; transform internal chaos with these efficient and cost-effective best practices.